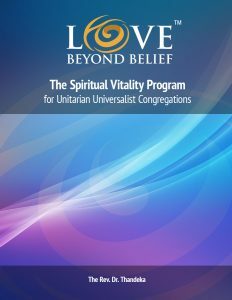 Love Beyond Belief™ is a spiritual practice for insight, reflection, and action guided by compassion. Each step begins with the discovery of connections that create awe, care, and joy. The discoveries heal broken hearts, mend injured souls, and calm restless minds because unconditional love is felt. Using personal experiences, Love Beyond Belief™ workshops help individuals develop a deeper sense of who they are and gain an expanded sense of what they can do with others to heal and transform oneself, others, and the world. generate an expanding body of reinvigorated congregations that work with other religious, social service, eco-justice and social justice organizations for the common good. Strategy 1: Organize local, on-site workshops and programs to help clergy and lay leaders improve their religious/spiritual services through the enhanced coordination of music and the spoken word. Strategy 2: Introduce on-site work to develop New Race Work models for addressing the racial strife and the exploitive social and economic conditions linked to them. Strategy 3: Organize small group ministry programs and an Evensong program to attract new members to the congregation. Strategy 4: Use social media to create a national network of Love Beyond Belief™ moderate, liberal, and progressive religious and secular congregations that are expanding rather than declining. 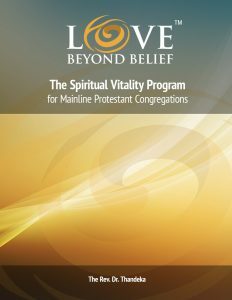 This Love Beyond Belief™network of congregations will collectively support, enhance, and expand social service, social justice , and eco-justice work through their faith-based and spiritual-based initiatives. Strategy 5: Produce resource materials and texts that support Love Beyond Belief™ communities.